Books can’t be judged by their cover; this is a fact. A gloriously beautiful sleeve might contain some dreadful drivel, which leads you to regret your impulse purchase at WHSmiths. Homes on the other hand, are always judged by their exterior façade; this is also a fact. An important one, at that. If you’re eager to sell your property but its frontage just screams to onlookers that you don’t love your home, you aren’t going to be getting many viewings. People judge within seconds, and a weed filled lawn will mean viewers don’t even make it to the front door. Windows – If you have trouble looking past finger prints and dust on your windows from the inside, people will see that on the outside too. Give them a good clean regularly. Check on your window frames too; if they’re rotten, they aren’t going to look very appealing. Consider replacing them before putting your house on the market. Ensure that they fit in with the look of your home. 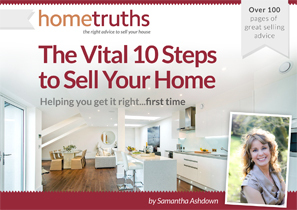 How to Test Your Estate Agent – Can you Handle the Results? !